The Faith Trio is a 16 year alliance of the Islamic Cultural Center of Northern California (ICCNC) with two other congregations in the Oakland area: Kehilla Community Synagogue and Montclair Presbyterian Church. The impetus for this alliance is the desire to build bridges and create friendships through artistic collaboration. Joint exhibitions feature mainly the work of Bay Area artists and some national and international artists coming together to showcase compelling artwork while furthering interfaith understanding and respect. 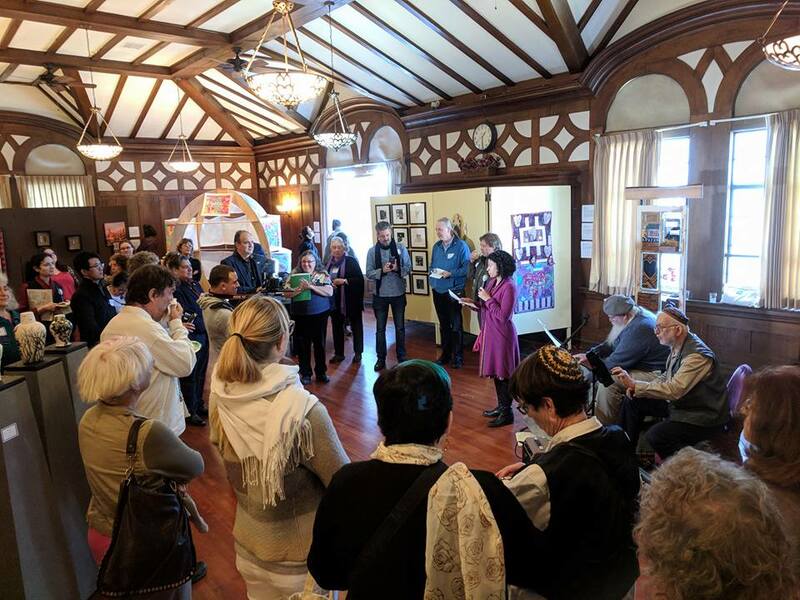 “Collaboration and Connection” marks the latest (fourth) biennial interfaith art exhibition hosted by ICCNC. The exhibition opened with a reception ceremony on December 3, 2017 at ICCNC and ran to February 24, 2018, bringing together artists from many faiths to express their commitment to interfaith understanding, coexistence, peace, and cultural dialogue. Updated galleries, including photos of the artwork and activities, of "Collaboration and Connection" can now be seen on the Faith Trio website.